ive been wanting one since my crappy s&w folder died over a year ago. for christmas i had me friend pmoore make my sons first knife, a similar necker. recently we bartered some lanyards for my own. it just arrived. the lanyards on the knife are temporary cuz i want to use this right away, but im planning something really unique for it. 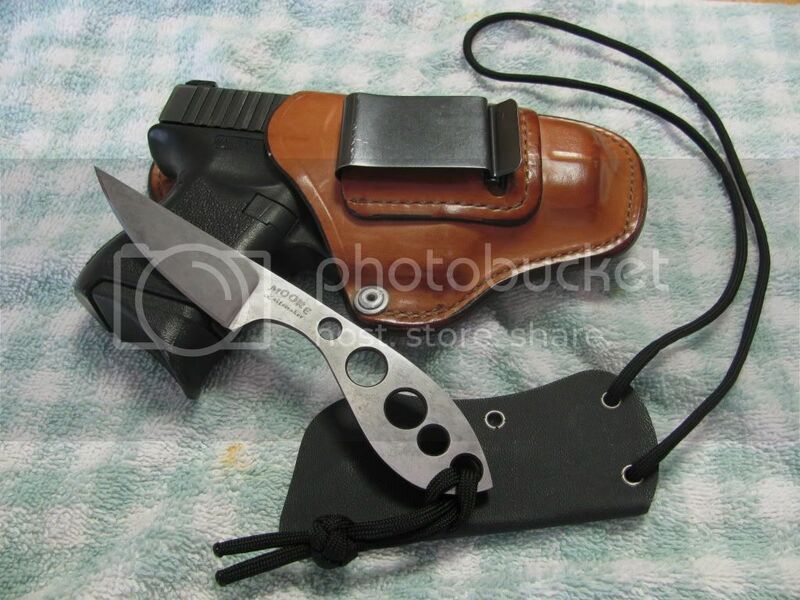 Thisn knife is 1/8" O1 Cutting edge at 60 Rc, with a acid/bleach finish. 3” blade, overall 6 ¼”. Owner, Messina's Front Line Survival Gear - visit our website at www.flsgear.com! nice deal all the way around. what's the knot called at the distal end of the lanyard - looks like a one strand turk? Consciously I know that it isn't much of an actual risk but wearing a knife around my neck feels like the first act in a play where the final scene is me laying there dead, having accidentally 'fallen on my sword'. I feel the same way about wearing a necktie. It's like the opening act in a drama that ends in a hanging. There are ways around that. If anyone wants to know give me a nudge and I'll start a thread. Yes, thats exactly what it is; looks like the two strand diamond knot but its made with one. Please start a new thread and link it inside this thread so that I know you started it, thanks. I have a similar fear, except my fear involves the knife falling out of the sheath when I break out into a sprint. do you think it happens (being choked to death by a neck lanyard in the bush) more often to people than say getting hit by lightning? I know people, including sailors have been wearing things around their necks without breakaway for thousands of years. Don't know about the bush, but working aroung industrial machinery all my life, I don't wear anything around my neck, wrists, etc. I don't even wear my wedding ring. Plenty of industrial accidents involve clothing or jewelry gets sucked into rotating parts. Why voluntarily put your head in a noose? I normally carry a ckrt stiff kiss with paracord lanyard. For safety I connect free ends with a safety pin wich should breakaway. 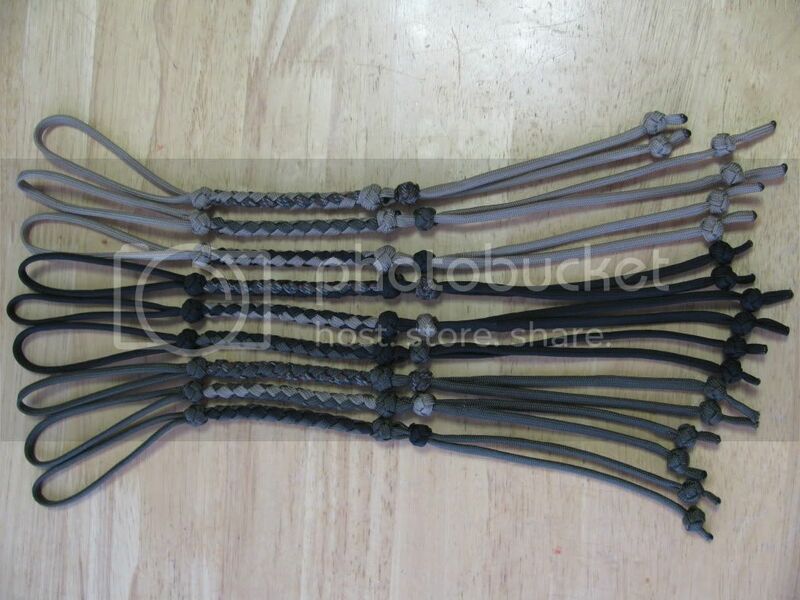 Also could be used for fish hook in pinch or sliver remover. Multi-tasker.